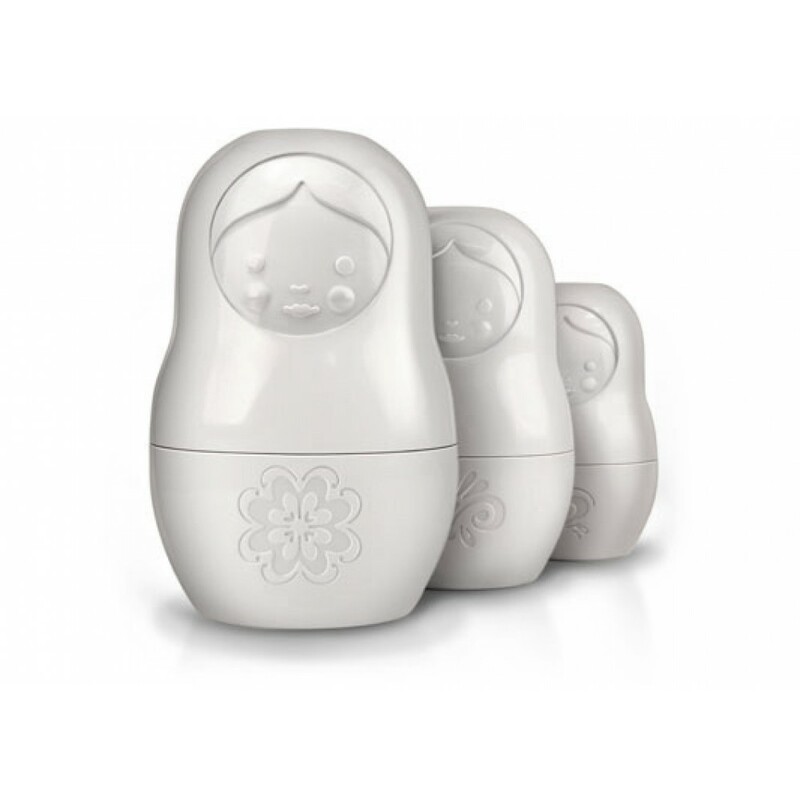 This set of 6 dry-measure cups nests neatly just like traditional Russian matryoshkas. 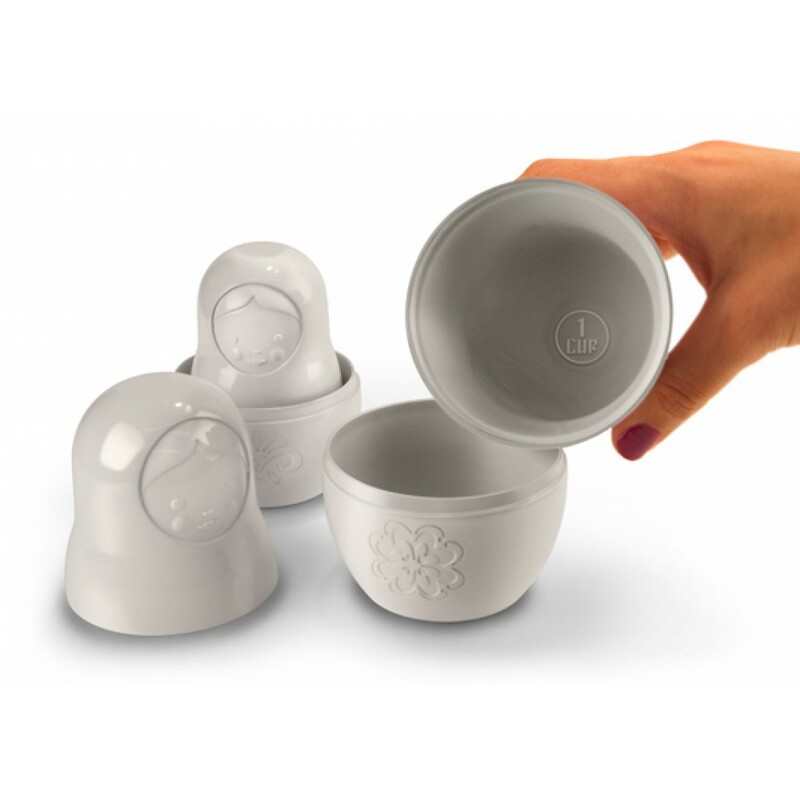 They accurately measure 1/4, 1/3, 1/2, 2/3, 3/4 and 1 full cup, and they're built from heavy-duty, food-safe, long-life engineering plastics. 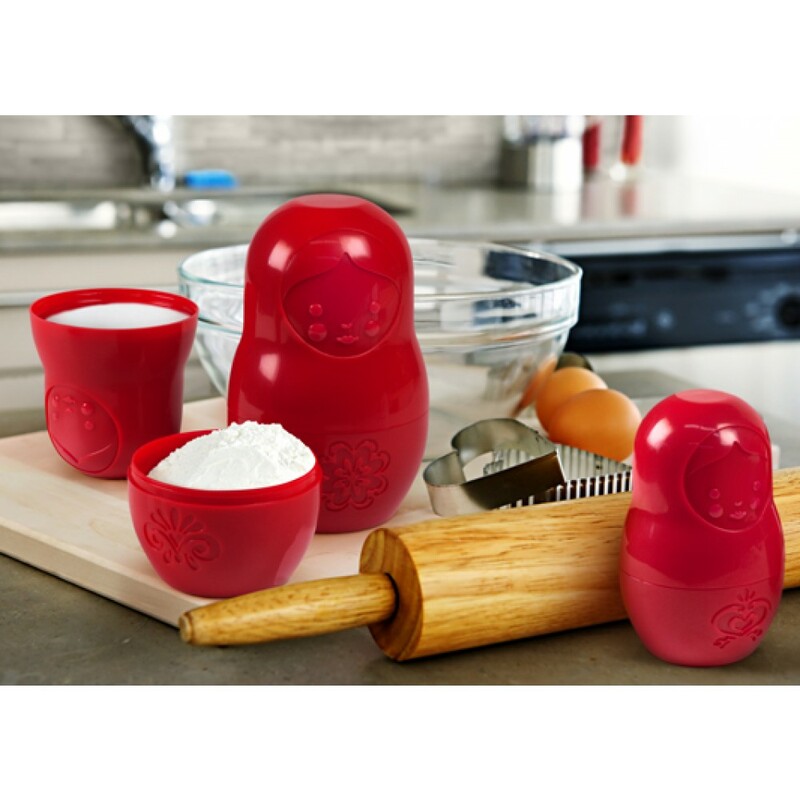 M-Cups are useful, easy to store, and quite charming...so why not doll up YOUR kitchen with a little Russian folklore? Each set is packaged in a full-color printed giftbox.